Jay D. Slaker, 76 years of age, passed away Thursday April 5, 2018 at UH-Portage Medical Center in Ravenna, Ohio. Born in Cleveland, Ohio on October 3, 1941, he was the son of the late Clyde and Evelyn (Schubert) Slaker. 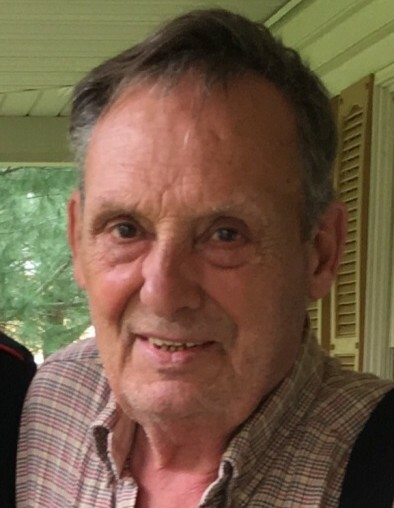 Mr. Slaker had been a resident of the Freedom Twp.-Mantua area for over 40 years. He retired from Murphy Phoenix in Cleveland after 34 years of employment. He was a U.S. Army veteran of the Vietnam Era. Mr. Slaker enjoyed the outdoors that included fishing, going to auctions, nature, watching birds and was an animal lover, and his family will forever cherish the memories of the times he spent with his grandchildren. On March 21, 1990 he married his beloved wife Shirley A. (Dominski) Slaker who survives at their home. Also surviving are his children Mark (Denise) Slaker of Georgia, David (Lisa) Slaker of Olmstead Falls, Larry Slaker of Wisconsin, Jack ( Darlene) Gullett and Darrell (Jill) Gullett both of Mantua, Evelyn Slaker of Deerfield and Debbie (Christopher) Iacona of Brecksville; 14 grandchildren and 10 great-grandchildren. He was preceded in death by his brother Don Slaker and sister Sally. No calling hours or services at this time. Cremation has been held. A Celebration of Life will be announced at a later date. Arrangements are by the Green Family Funeral Home & Crematory Service in Mantua where condolences and memories may be viewed at www.greenfamilyfuneralhome.com.